Flying is a feat of endurance: Not only do you spend long hours in the air, but also a hefty chunk of time at the terminal. 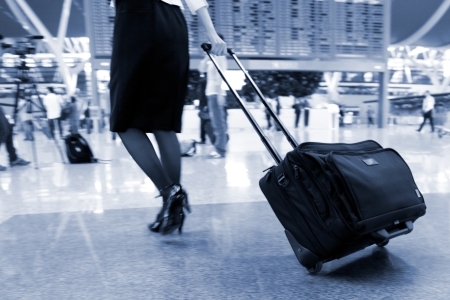 Frequent flyers often recommend budgeting several hours for pre-flight prep to spare yourself the hassle of a longer-than-expected wait at check-in, or worse--a stagnant line at security. 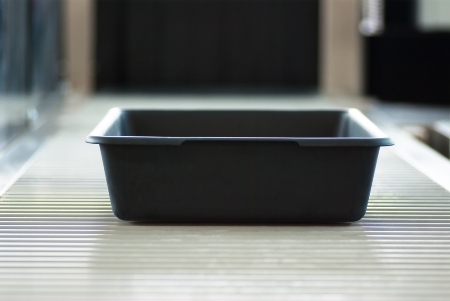 For many travelers, facing the Transportation Security Administration (TSA) is one of the most frustrating aspects of air travel. The media often buzzes with tales of privacy violation and uncouth security agents. Couple that with long, slow-moving lines (especially during the busy holiday season), and airport security can feel like an absolute nightmare. However, careful preparation and a tactful approach can help you breeze right on through. Here are a few tricks to help you whiz through the checkpoint and carry on your way. Airlines have taken steps to shave hours off your terminal time by introducing an early check-in option, and the TSA has recently followed suit. The PreCheck program allows participants (identified by barcodes on their boarding passes) to clear security without removing their shoes, jackets, or belts. PreCheck also doesn't require travelers to remove laptops from their cases (note that no passenger is immune to random security measures like pat-downs or palm-testings). Although TSA plans to expand the program by the end of 2012, PreCheck is currently exclusive to frequent flyers on participating airlines--such as Delta, American Airlines, United Airlines, and US Airways--and members of the government's Global Entry program traveling from select U.S. airports. To find out if you qualify for the program, visit the TSA website; if not, there are several other ways to accelerate a screening. By now, you're likely aware of most Transportation Security Administration rules, like a required photo ID and a three-ounce limit on liquids, so there's no reason not to be organized when you approach the security checkpoint. As you're packing your carry-on, organize your items by order of need, with your travel-size toiletries (in zip-lock bags, of course) and your papers in easy-to-reach places. Doing so will help you avoid sifting through magazines, snacks, or clothes to find your boarding pass, not to mention a conflict with travelers waiting behind you. In terms of your documents--all too often we forget we put our ticket in our jacket pocket or our passport gets lost amid a sea of other items at the bottom of our purse or briefcase. To keep moving forward (and avoid that moment of panic), stow your identification, boarding pass, and any necessary medical documents in a secure and separate pocket of your carry-on. Like the liquid restriction, the required removal of footwear is nothing new, and yet this rule still causes major delays at security checkpoints. The reason? Laces: Having to untie (or unzip or unbuckle) your shoes just increases the amount of time you spend with TSA agents. Instead, improve your screening time--and your level of comfort--by sporting slip-ons while traveling. And while you're at it, remove any belts, jewelry, or outerwear and stow it in your carry-on before you encounter the scanner. This will ensure you swift passage through the detectors without a high risk of a pat-down. In order to make sure that your computer hasn't been tampered with, TSA requires an unobstructed view of your hardware. But while juggling your shoes, jacket, ID, and miniature shampoo bottle, keeping track of everything can get complicated. Throw a cumbersome--and fragile--laptop into the mix, and you could find yourself in disarray by the time you reach the scanner. To save yourself the annoyance of needing to take out your laptop in transit, splurge on a new, TSA-approved laptop bag. You can choose from three different styles: Butterfly, Trifold, and Sleeve. All three case types allow the X-ray machine a clear view of your computer as it coasts comfortably on the conveyor belt. While the TSA does not endorse any specific brand of bag, it does warn travelers against cases with metal zippers or buckles in the laptop section--you can find all the details on the TSA website. And since you're already thinking about gadgets, consider stowing any other electronics--such as camcorders--in your checked luggage, as those items need to be exposed for scanning as well. Contrary to popular belief, a shorter line does not always mean a faster line. 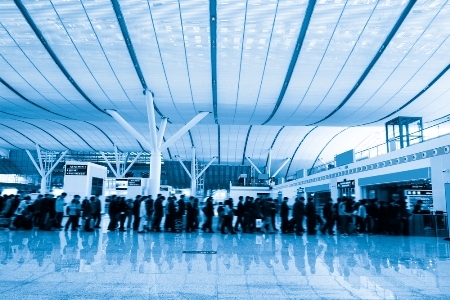 As you approach the security checkpoint, take a look at your fellow passengers: long queues of business travelers will most likely clear the way faster than a line comprised of families with small children. Also, survey to see if these other passengers have prepared as well as you; if you spot a couple of 20-somethings sporting high-top sneakers or a set of parents juggling diaper bags and strollers, steer clear. Another tip: Try to maneuver your way to the agents at the far ends of the security area. It's human nature to take the shortest route, which usually leads to the center checkpoints; this leaves the scanners at the far left and far right free and clear. There has been a lot of backlash surrounding the recently introduced full-body scanner. While some passengers worry that the radiation emitted from the scanners could lead to medical issues later on, most travelers are simply uncomfortable with TSA's newfound ability to see through clothing. What's more, opponents of the full-body scan argue that--like strip searches without probable cause--this new security method violates our basic human rights. Our advice: Just go with the flow. Passing through the full-body scan is quick, painless, and much less nerve-wracking than a pat-down. If the actual imaging makes you uneasy, remember that TSA agents aren't interested in seeing what you look like in the buff, but rather preventing a possible terrorist attack. It may not be your favorite aspect of traveling, but taking out your frustration on security officials is a surefire way to slow you down. Before you cop an attitude, put things into perspective: Just imagine how many grumpy globetrotters those TSA agents deal with on a daily basis. Airport security is certainly no walk in the park, but if you keep your cool and don a smile, you'll make the procedure more pleasant for yourself and everyone around you.